Take everything as a learning experience I always say. Any pictures of the damage? 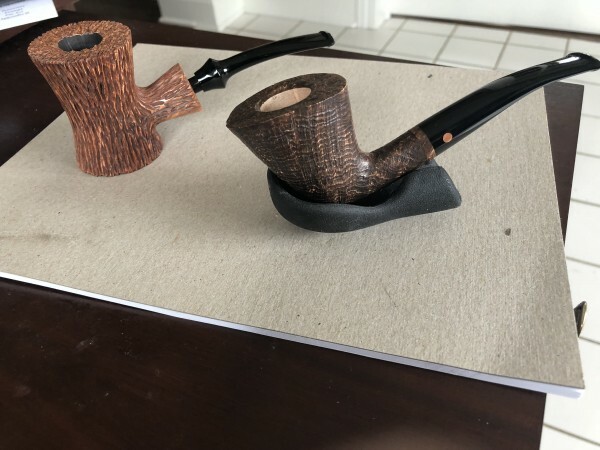 I've seen pipes that looked lost forever, but repaired to as-new condition by some members here. It really depends on the pit, sometimes there are natural pits that open up after smoking. A little cigar ash mixed with spit used to morter over the pit, and it should be fine. When Skip Elliot finds or suspects a pit in the bowl while making a pipe, he tosses them in the garbage. This is when I pocket the stummels, fill the pit with mud, make a stem for them, and smoke the hell out of them. It's about the only way I can get a pipe from him, as he sells them for thousands, and they sell as soon as he puts them in the case. Seriously, he waited to his pipe show this weekend to display his newest 12 pipes, and I got there 15 minutes after the show started and ALL of them had sold by the time I got there, so I didn't even get a chance to see them. Through no thought or planning, I've avoided this problem by having too many pipes, and feeling obligated to get them all smoked in rotation, so if I had had such a morning of bowl-after-bowl smoking, I would have smoked a bowl in the new pipe, and then moved on to several others in sequence. That's the upside of pipe acquisition disorder. Just feel guilty about neglecting any of your beauties. Correct. I had smoked 3 bowls in the pipe prior to yesterday. It would be vey rare for me to smoke the same pipe twice per day, especially a newer one. Don't most companies accept returns on premature burn-outs? At least for replacement? Sounds like the flaw was just below the surface, and anybody would have burned it out. It's never happened to me, so I have no idea on how to proceed. I always read about this issue, but I do not know how that could happen? 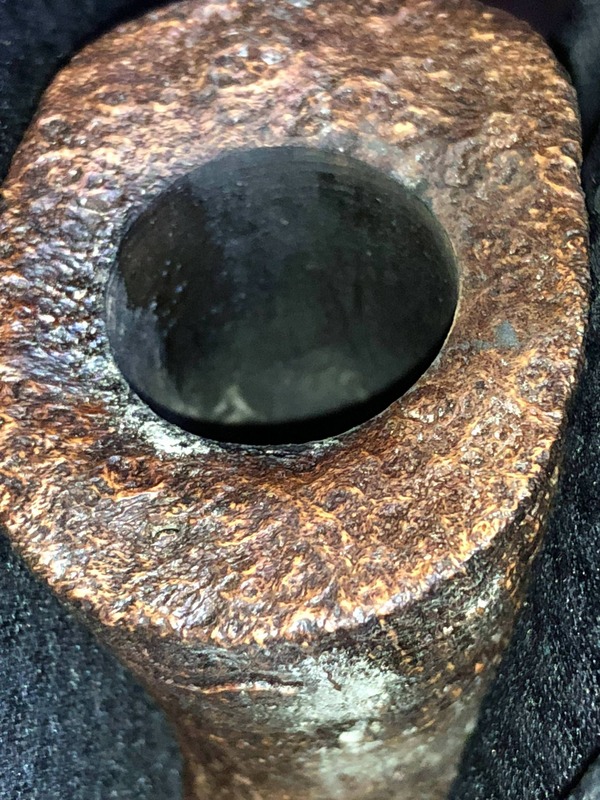 Is the damage at the bottom of the bowl, it has never happened to me and I have been smoking for 10 years plus so if you have more info how to avoid this please share guys. If that's the right company, I'd just put it in a box and send it with a request for replacement. Can't hurt to ask. 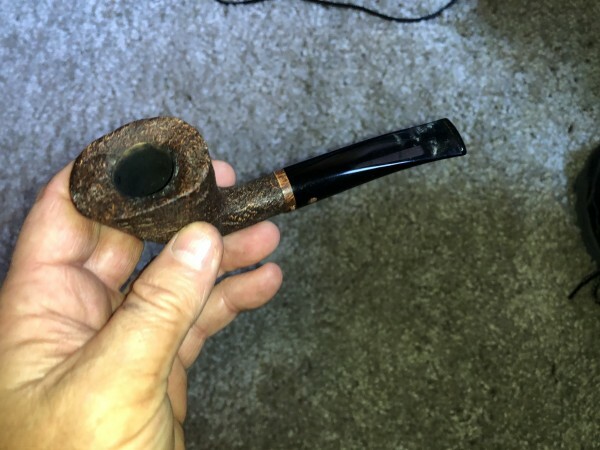 I think it was my fault for getting relatively virgin Briar too hot. I've broken in well over 100 pipes in my life and never had it happen. But I did let this one get very hot. I've gotten 9 pipes from Marco and he has always been great to deal with. It could have been the pipe but it could have been me. I'm not taking money out of his hard working hands because I was negligent for a few minutes. Just the way I roll. I will take s picture and figure out where to host it so I can upload it here. I'll also send it to the carver to get his opinion. But I'll tell him I got the pipe very, very hot. If he wants to make me another at a discount, that's great. If not, I'll still buy his pipes. I've bought them new at very good prices and they smoke great. Just upload here to your forum album, too easy. I would be interested in seeing the pics as well. I can't see how you could get the pipe hot enough, long enough to burn a pit like that. Char? Yes. Actual hole? No. This was a pre-existing condition. Can you post that bowl photo a lot larger? Wow! Thank you guys, I would have just let this go to being my fault. I just sent the photo to Marco 5 minutes ago and asked him for his opinion. I already got the response below. Talk about Customer Service! The sandpit was between the walls of the pipe and the heath opened a crack on the pipe, but you don’t have to be worried about this my friend: I will include an extra pipe as replacement to this one inside the box of your next Moretti. Wow, That's a customer service on the highest level. I could easily see Mark getting that bowl so hot it would crack in half. I have seen him smoke a pipe, he normally has to hold his pipe with an oven mitt as third degree burns would happen without it. Chamber here, what is your point?